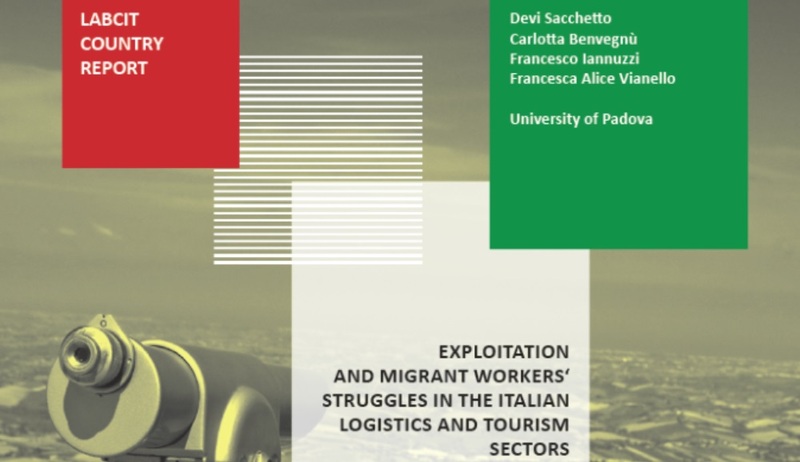 Exploitation and migrant workers’ struggles in the Italian logistics and tourism sectors	, Prague, 2016. Currently there are over five million foreign citizens living in Italy, of which 1 491 863 are EU citizens, including 1 131 839 Romanian naotionals (Istat 2014). Although they have EU citizenship, high levels of education and skills, Romanian workers are segregated in manual jobs and are almost entirely excluded from the qualifi ed non-manual jobs. They are employed in different labour-intensive sectors characterized by low salaries, short-term contracts, seasonal and informal work. This report focuses on two of these labour-intensive sectors: tourism and logistics. The findings in this report are based on the results of preparatory activities and one public hearing with migrant workers and privileged witnesses such as trade unionists, activists of solidarity associatiations, health inspectors, experts and government representatives, including the Undersecretary of Economics and Financial Affairs, Pierpaolo Baretta. The focus of the preparatory activities and hearing concerned the workers’ labour and life conditions, cases of severe labour exploitation, migration trajectories, the means of access to justice and citizenship rights, migrants’ agency and trade unions and NGOs’ and public instutions’ intervenon. The tourism and logistics sectors were chosen because: 1) the percentage of migrant workers they employ has risen in the last few years (CPI Rimini 2015); 2) the tourism sector has recently been dealing with labour rights violations including severe ones (Carchedi 2014); 3) in the last years the logistics sector has been the scene of several migrant workers’ struggles aimed at denouncing the exploitative system of cooperatives and at improving labour conditions (Sacchetto 2015; Cuppini et al.2015).